A groundswell has been steadily building in America among citizens who are fed up with seeing our country overrun by millions of illegal aliens foreign invaders who defy our laws, disrespect our culture, and refuse to learn our language. These citizens became activists when they saw that, if America is to survive as a nation and culture, her people will have to save her, because an out-of-touch Washington establishment has grown too corrupt to defend the land and Constitution that hundreds of thousands of Americans have died to preserve. 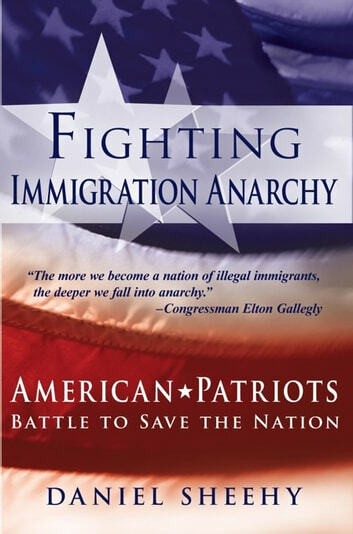 Fighting Immigration Anarchy focuses on the struggles of eight citizen activists to awaken their fellow Americans to the encroaching danger. Through the individual stories, readers learn about the recent history of illegal immigration in America the political victories and defeats as citizens awoke and fought back against the open-borders juggernaut. Like the patriots of the American Revolution, todays citizen activists refuse to cower before powerful foreign tyrants like those in Mexico City demanding America accept their surplus people. Modern patriots also confront domestic business interests grown addicted to exploitable foreigners now doing formerly American jobs at near-slave wages. 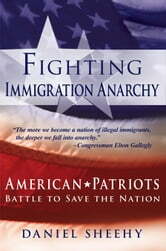 This book is a warning for all Americans of the chaos spreading rapidly from the southwestern border zone to every corner of the nation. In its wake have come massive job displacement for American workers, increased crime, schools overwhelmed by non-English-speaking students, bankrupt hospitals, and other serious problems. And these newcomers have not come to join the American community through assimilation, as did legal immigrants in the past, demanding instead that we change our culture to fit them.